Join or Renew Your Club Membership Now! Your recreational club or racing team knows the value of hard work on and off the bike. Join with BikeTexas to strengthen the voice of cyclists in Texas as we strive for safer roads for all people who want to ride bikes. BikeTexas is the only statewide bicycle advocacy group in Texas, and we work at the federal, state, and local level to make our communities better for biking and walking. Since 1991, BikeTexas has made sure that cyclists retain their right to ride Texas roadways. We envision a future where millions of people riding bikes every day in Texas. Together we can reach more prospective and current cyclists and work together towards a brighter future for cycling in Texas. Join Your Peers – see all our current Club Members here. All Club Members receive a dedicated page right here on our website, which receives over 6,000 unique visits each month, and is one of the first sites identified by most search engines when querying for Texas bicycle rides, bicycling services and bike events. We also list all our Member Clubs in our monthly e-newsletter, BikeTexas Today, which is sent to over 14,000 Texans. We’re also happy to post on our Events Calendar any club meetings or free events you want people to know about. Premier Sponsors at $5,000 or more annually also receive a large log on our website and a logo in our newsletter. BikeTexas occasionally provides Club Members with posters, flyers, and other timely announcements and action alerts to inform the public of important cycling events, initiatives, and legislative developments. 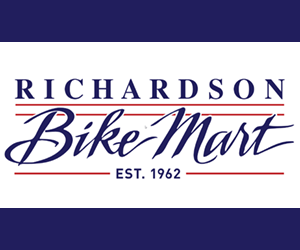 By displaying, distributing and sharing these materials with your customers and contact lists, you will communicate that your business is supporting efforts to make bicycling better for all Texans. Business members are also encouraged to forward the BikeTexas Today E-Newsletter to their email list – our news is your news. 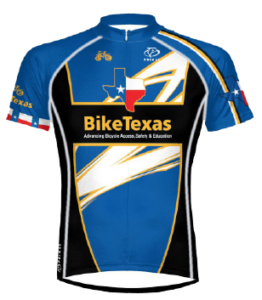 BikeTexas Club Members are welcome to use the BikeTexas logo in electronic and print materials to display their support of bicycle advocacy and safety education in Texas. Club Members are also welcome to include information published by BikeTexas, such as BikeNews articles, resource sheets and educational flyers, in their own web or print publications. BikeTexas serves as a bicycle community representation group, and club members are encouraged to mention their support of BikeTexas when dealing with local, state and federal officials. Perhaps the best benefit of BikeTexas Club Membership is knowing you are supporting the efforts to get millions of Texas riding bicycles as part of their everyday lifestyle. Your Member Dues go directly to support our work at the federal, state, and local levels to improve the safety and quality of roads and trails used by people on bikes, walkers, and runners. Join Today!